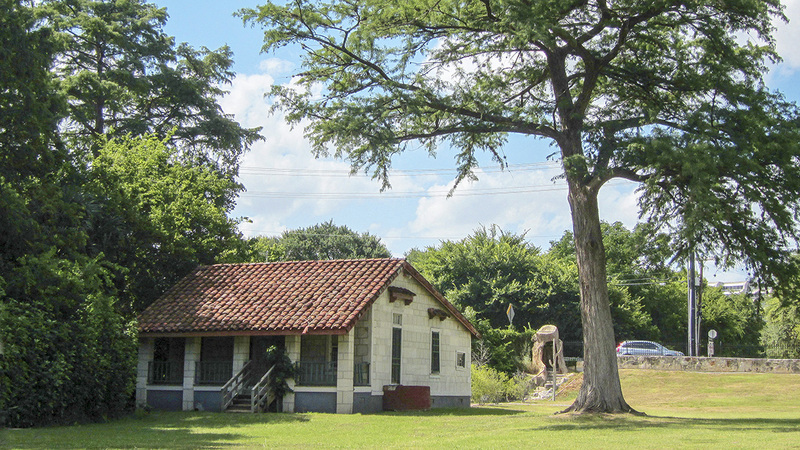 Located east of Brackenridge Park on the east bank of the San Antonio River, this 4.5-acre parcel derives from a fifteen-acre plot purchased in 1921 by Dr. Aureliano Urrutia, a renowned Mexican surgeon who fled his country in 1914 during the Mexican Revolution, living in San Antonio for the remainder of his life. 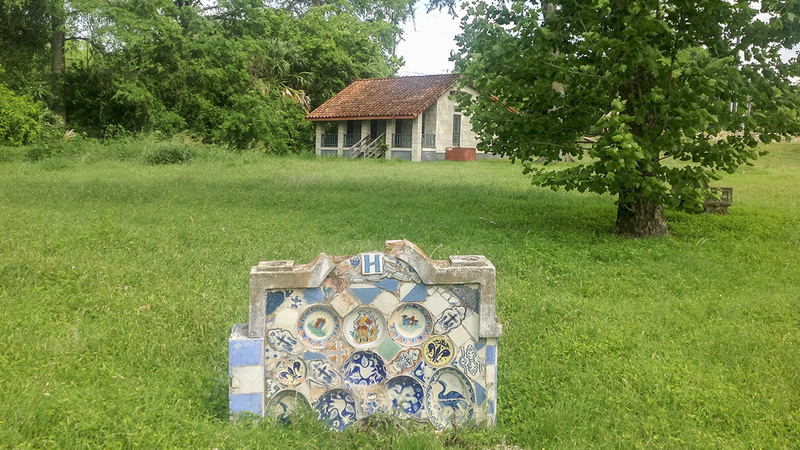 A gardener and landscape artist by avocation, Urrutia designed and developed this private garden chiefly between 1921 and 1945. Inspired by his birthplace of Xochimilco (a World Heritage Site near Mexico City famous for its canals and floating gardens), the garden included winding paths through a wooded landscape punctuated by sculpture, ornate Talavera benches, and urns; a series of fountains, pools, and ponds; and a summer house and library tower—all reflecting Urrutia’s love of Mexican history and culture. Mexican artists and artisans created the sculptural works, including at least ten faux bois ("imitation wood") and faux stone objects by Dionicio Rodriguez. 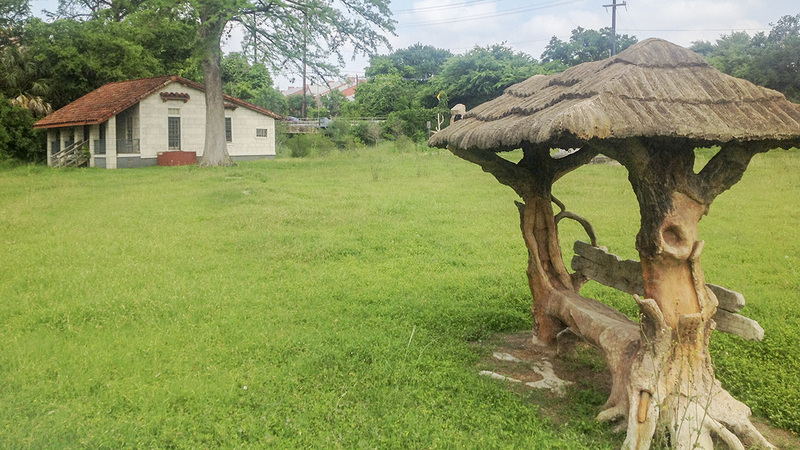 In 1953 Urrutia sold the ten acres of undeveloped land along Broadway to the United Services Automobile Association (USAA) for an office building and parking lot. He sold the garden portion to USAA in 1962. 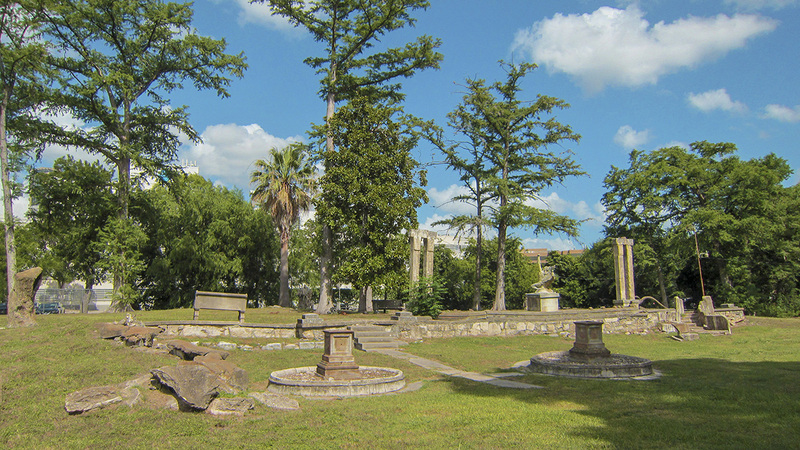 Southwestern Bell Telephone Company (SBTC) purchased the entire fifteen-acre property in 1974, transferring the 4.5 acre garden of Miraflores to the University of the Incarnate Word in 2001. The City of San Antonio acquired the garden in 2006. 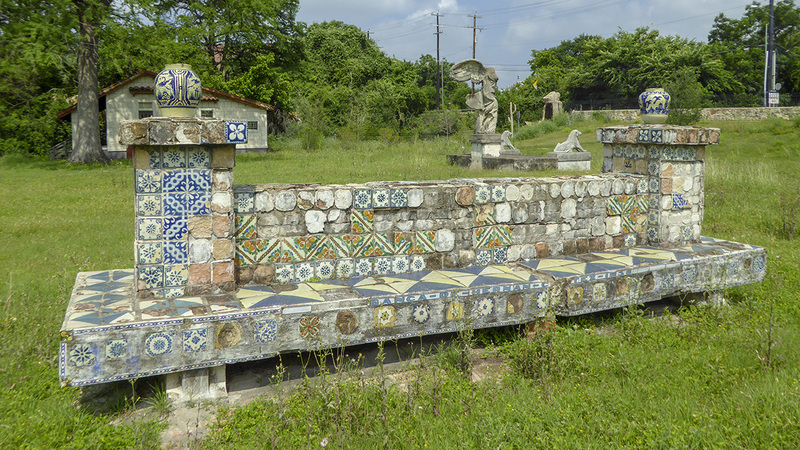 Although much of the original design was destroyed, a large entrance archway with Talavera tile-work and Rodriguez' faux stonework was moved to the San Antonio Museum of Art in 1998. RVK Architects developed a master plan in 2007 to rehabilitate the garden for public use while conserving the remaining statues and tiled benches. 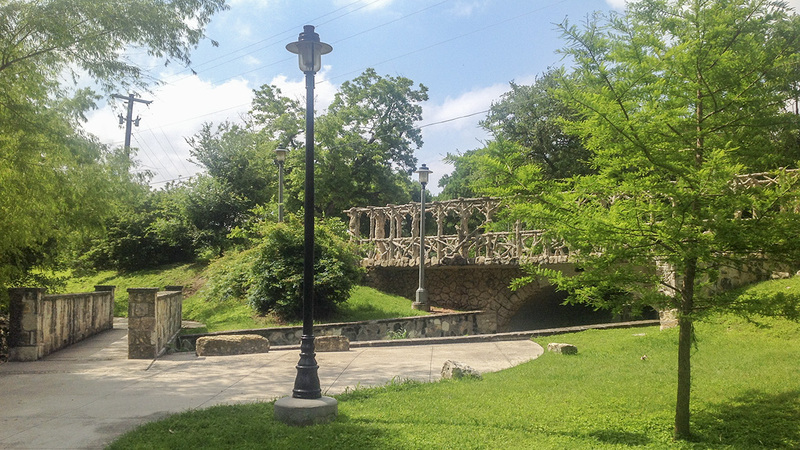 A pedestrian bridge across the river, connecting Miraflores to Brackenridge Park, was completed in 2008. 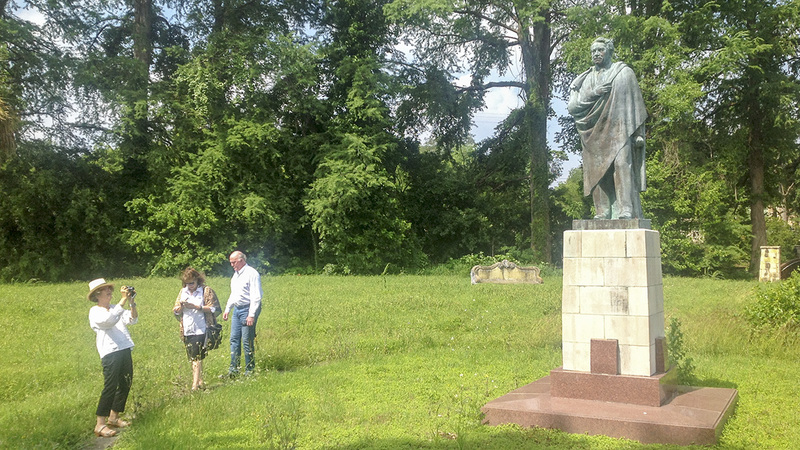 More recently, the Hildebrand Avenue entrance tower and gates underwent some restoration, sculptures were repaired, and a portion of the original brick walkways were restored. 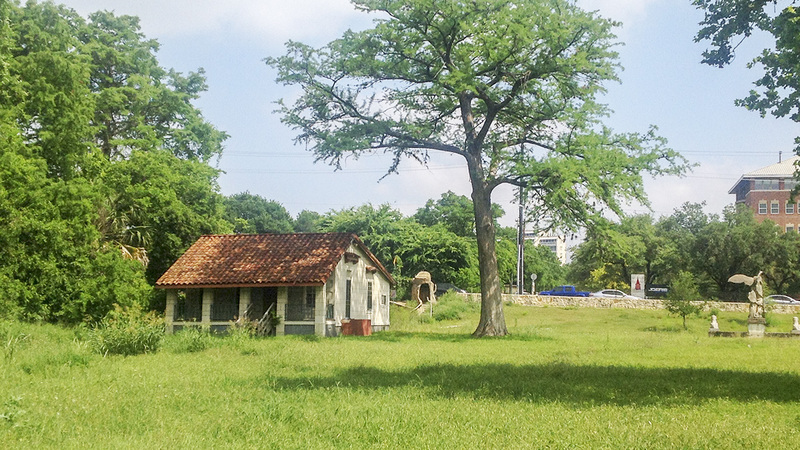 Miraflores was listed in the National Register of Historic Places in 2006.